Mishti- Our beautiful black beauty is suffering from lens displacement and is undergoing treatment at Max vets. Most probably her lens would have to be removed. 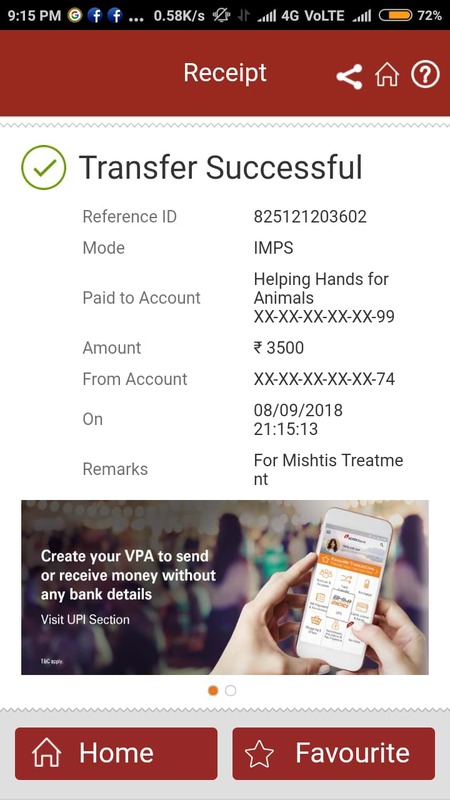 Currently her bills are pending from the regular vet visits at Max vet, Saket, New Delhi. She is staying at Helping Hands, Dadri. the staff takes care of Mishti as their own kid and we need help in raising Rs.10000 for her currently. This includes her stay as well as vet visits. Sitara- This kid was staying at Nishabd Ramagya Shelter, Dadri. She doesn't used to keep very good health and had to for regular vet visits. Her history is unknown but she was found in paralyzed state on road. Posh Foundation, Noida did their best to make her walk, which she does to some extent. But she had to be a permanent resident of Nishabd Ramagya for all her life, as she could not be released back at her location, due to disability. She died on 16th July due to regular fits which she had been getting. 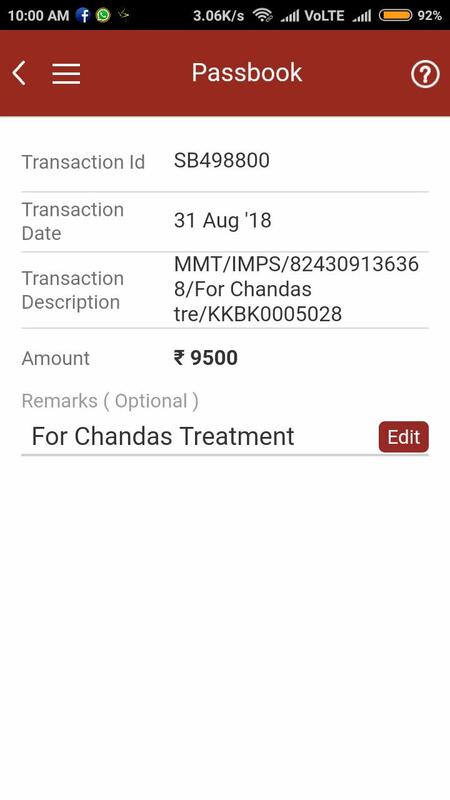 For her stay and treatment we are raising Rs.8000 for three months (June-Jul 2018). CHANDA- This kid was admitted in Sophie Memorial in Dec.2017 and since then she is staying with them. 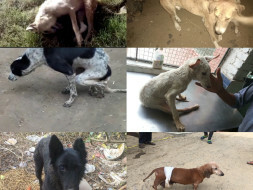 Another case of cruelty by humans wherein she fractured her spine and cannot walk. Sophie Memorial has helped in her treatment which can be seen in the video pasted in the link, wherein she tries to move around. We are trying to raise her funds for her treatment and vet bills of Rs. 26000 (Mar-Jul. 2018). Plz go through her link. Ginger- Glaring example where the owners chose to ignore this little daschund's tumor which grew to a size of small football. Why keep pets if you cannot take care of their medical needs. 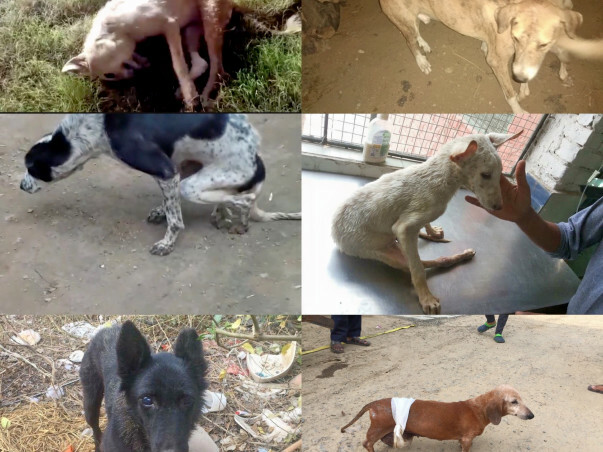 Though she was rescued with the help of Haryana Police and Pawsome Animal Welfare shelter, Delhi took her in immediately she didn't survive the surgery. Surgery was done at Max vets with all precision but God had different plans. She left us. 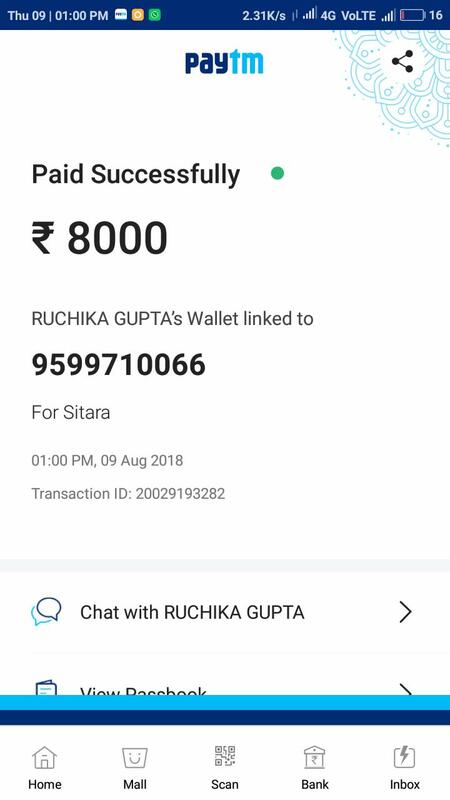 Still there is a bill of Rs.8000 which needs to be cleared and we need help in raising her funds. Plz check her link for authenticity of this fund raising. Mirchi- May his soul rest in peace. Such a small kid and suffered so much because of us humans. In a short span of life which he led, he was paralyzed and left to die on road. Posh foundation, Noida did their best for getting him back on his feet, but unfortunately he didn’t survive. Beautiful looking kid, wish he could have lived longer. Still his vet bills and stay bills of Rs. 10000 are pending for the long stay that he had Posh Foundation (May-Jun.2018). Plz help in raising funds for this kid. Romeo- This kid has been a permanent resident of Helping Hands, Dadri. This adorable kid was merely 4-5 months old when got hit by a ruthless driver. He was taken to Helping Hands Dadri, after his medical boarding ended that also for the puss formation in the leg due to surgery and rod fitted for months to heal the bone fracture, in previous medical care. I have put in Rs.5000 extra in Milaap fund raising as there is certain amount which is platform fees. We have transferred amount for Mishti and Romeo to Helping Hands, Dadri this completes Romeo's stay expense for 3 months.